If you are thinking about selling your home (perhaps to build a custom home), it is important to look at it with a fresh perspective. When preparing to sell your house, the goal should be to make it as attractive to potential buyers as you can – so that your home sells quickly and for the most profit. Here are a few tips you can use to make your home more attractive to buyers. Some are simple and will only take a few dollars and a few hours to complete, while for others, you may want to call in the expert to get it done efficiently and professionally. Flooring. Take an honest look at your carpet, vinyl and other flooring throughout your house. Does it need replaced? Old, stained carpet, ripped or sun-faded linoleum and scuffed-up hardwood can make a home look tired and unattractive. Real estate agents have hundreds of stories of great homes sitting on the market for months simply because the flooring needed replaced. Exterior. Take a look at the exterior of your house. Does it need a fresh coat of paint? Does your vinyl siding have mold or mildew stains that need power washed? Do you have a few deck boards that need replaced? If so, take care of these items before putting your house on the market. Kitchen appliances. If your kitchen appliances are outdated, it is a wise investment to replace them. The current trend continues to be stainless-steel appliances, and while it probably pains you to replace your refrigerator, dishwasher and stove with brand-new appliances (that you likely won’t get much enjoyment and use from), new appliances can mean the difference between a fast sale and your home sitting on the market. Organize the Home. Clutter can detract from your home. Take time before your home goes on the market to clear out closets and piles of magazines, books and other collectables. All this effort will take the emphasis off of your belongings and allow potential buyers to focus on the fine architectural details of your home. Personal Items. If you are listing your home while still occupying it, you’ll want to minimize your personal belongings. Too many knick-knacks, pieces of furniture and other items can detract from potential buyers actually “seeing” your home. If you have lot of items, put the belongings you don’t need into storage for the short-term. Paint Your Walls and Ceiling. If the interior of the home needs a fresh coat of paint, do it before listing your home. Also, look at your choice of paint color, particularly in the main rooms of your home (kitchen, family room, bathrooms). If they aren’t neutral colors, repaint them. You may love your purple kitchen, but most buyers will only think of the work that is involved in repainting them to a more subtle color. Curb Appeal. You only get one chance to make a first impression, and that is the front of your home. Give your front door a fresh coat of paint, trim bushes and plant colorful flowers in planters. Make sure any trim woodwork along your doors, windows and garage isn’t dry-rotted, keep your stoop swept and stage your front porch so it is welcoming. Fix and Replace. Make a list of all the little things you’ve let go around your house, and then fix them. This can be holes in screen doors, mismatched door hardware, a leaking faucet or a dent in the wall. Don’t let these little, low-budget items deter potential buyers. Clean Your House. Make sure your home is clean from top to bottom. This includes walls, windows, furniture and cabinetry. Everything should sparkle when a potential buyer walks into your home. If you are still living there, do not leave dirty dishes in the sink. 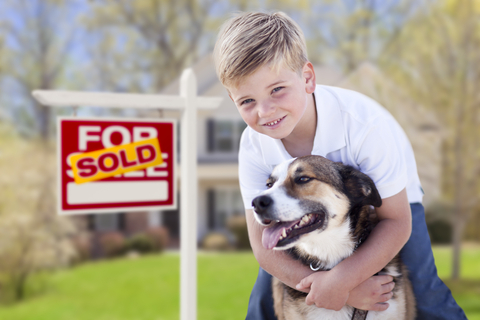 While it may take a bit of time and patience to get these things done – before putting your home on the market – typically, you’ll reap the rewards of several potential buyers saying, “I must have this house!” … allowing you to proudly hang a “SOLD” sign in your front yard (while you get excited about your custom-built home). Posted in Home Tips, Misc. on September 24, 2014 by metzler.